Uses: Apply to tighten up conductor. Feature: Side plate can open and it is convenient for line construction. Specification: Steel wire rope can not pass through. Hanger includes hook type, plate type and ring type. This is need indicated when customer place order. Special size can be customized. a. We manufacture a lot of models for different uses in the overhead transmission line construction. b. They have are used to support conductors,OPGW,ADSS, communicatio lines. c. The sheave of the pulley blocks are made from higth strength nylon,or aluminum materials ,and the frame of blocks are made of galvanized steel.The lateral ones are mounted on ball bearings. 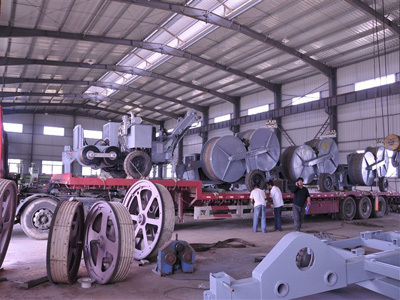 Remarks:All kinds of pulley blocks can be manufactured according to the customers's requirements. If any interested,please feel free to contact with us for more information,and we will try our best to comply with your requirements. 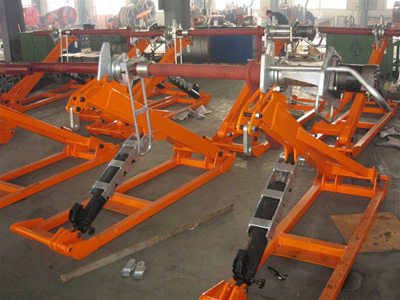 To support the Transmission work, Marshine Power has Tubular Gin Pole, Come Along clamp, wire rope pulley block, nylon sheave hoisting tackle, cable mesh sock grip, line stringing swivel- all are OEM and professionally produced per ISO 9001:2008, which are being sold to over more than 50 countries in the world. Some items like emergency restoration tower and crossing structure, we can customized, and the safety tools and accessories, are not demanded the MOQ. You can freely help you out either Tech issue or Products requirements. Pls approach us. Thanks. NINGBO MARSHINE POWER TECHNOLOGY CO., LTD. is specialized in developing, designing and manufacturing electrical power construction equipment tools. As the industry manufacturer of electrical power equipment tools, company insist on over the years the management philosophy 'science and technology-oriented, the user's demand is our pursuit, customer satisfaction is our promise'. Company already passed the certification of quality system GB/T19001-2008, continually develops and innovates advanced, safe and easy-handle products, and consistently engaged in power grid construction, operation by providing first class products and services. Circuitry construction tools produced by our company including for foundation construction, tower group lap.wiring constructs. 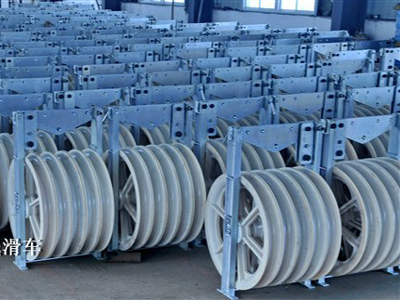 cable construction, optical cable construction, are of more than a thousand kinds in 20 series, such as the mobile cutter grinding, insulated overhead cables and high voltage cable stripping Device, all kinds of aluminum alloy rod, as well as the guide, ground wire devices, high-intensity shackles, ratchet wrench and tip wrench, double-Hook tight line devices, hoisting Pulley, nylon wheels and aluminum wheels for pay-off pulley, punching machine and etc. With full series and high technology and reliable quality, MARSHINE has received a good reputation among the same industry at home and abroad. By customer-oriented service, quality tracking and service monitoring, the company has established a complete after-sales system, and always adhere to the philosophy "quality first, users first",which is also "MARSHINE" people eternal pursuit. MARSHINE continues to promote the "integrity, development, and innovation" entrepreneurial spirit, for the prosperity and development of power industry. Company Name: NINGBO MARSHINE POWER TECHNOLOGY CO., LTD.